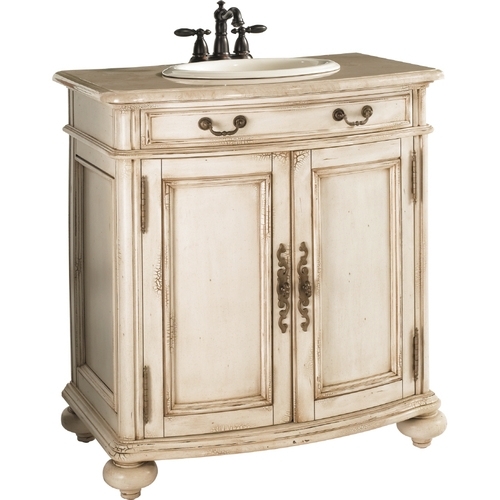 ****SOLD****BRAND NEW STILL IN BOX THIS BEAUTIFUL BATHROOM VANITY WITH TOP. (FAUCET NOT INCLUDED) MADE BY ESTATE by RSI, 29-1/2" ANTIQUED WHITE MODEL C15530, Unique bow front design accented with bun feet, Furniture quality finish, Comes fully assembled. Width with Top 31", Depth with Top 20". Top made of natrual marble, I also have a mirror to match if interested. Copyright © Eddie Gomez Home Solutions. All Rights Reserved.